Nowadays, with all the gadgets and electronic devices in our life, the normal outlets on the wall are far from enough. When we look for more outlets, sometimes it’s hard to distinguish between power strips and surge protectors in the market, because most of the time they look very similar. But they are different in terms of whether to provide protection to your gadgets and devices. And when you want to get more outlets, make sure you always choose surge protectors, because only surge protectors are able to protect your devices. 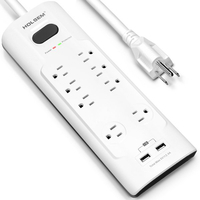 Power strips basically only provide more outlets apart from the wall with an extension cord - they are merely an expansion of the wall outlets that provides no protection for your devices. That’s the reason why power strips have much lower cost and thus price than surge protectors. Even though some power strips have the circuit break, they don’t provide any protection against the current spikes. On contrast, surge protectors provide protection for your devices from voltage fluctuations, surges, and spikes. 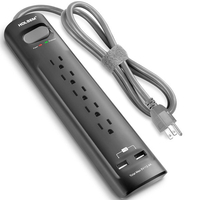 Surge protectors have built-in circuitry to catch power spikes and cut off the electricity to the strip before it harms any equipment plugged into it. 2. How to tell which surge protector is more powerful? The capacity of a surge protector to digest the voltage fluctuations, surges, and spikes is measured by its joule rating. The higher the joule rating, the more amount of voltage fluctuations, surges, and spikes that the surge protector can handle. Even for people living in areas with no thunder storms, surge protectors are also necessary, because the city’s electricity to our homes is always fluctuating. So surge protectors protects your expensive devices and make them last longer. 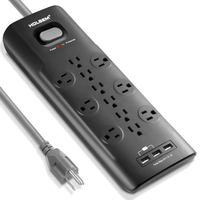 HOLSEM Surge protectors come with three different models that are suitable for all kinds of needs in home and office. 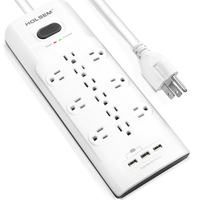 HOLSEM X12 Surge Protector has the joule rating of 4000J, which is among the highest level joule rating for surge protectors. It can provide the best and utmost protection to your expensive devices like computer, printer, and other devices. 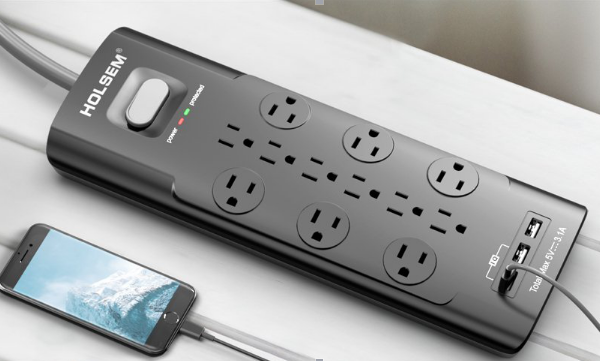 Also, the large amount of AC outlets and USB ports make it an ideal home and office charging station if you have a lot of devices needing power in the same area. HOLSEM X8 Surge Protector has joule rating of 2000J, which provides a very good protection against the voltage fluctuations, surges, and spikes that comes from city’s electricity supply. 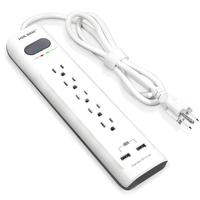 It also provides a good amount of protected AC outlets and USB ports, which can meet most of the general charging needs in home and office. 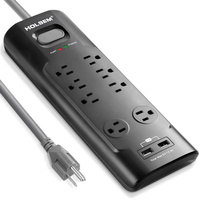 HOLSEM X5 Surge protector has joule rating of 1000J. If you have fewer devices needing to be charged, HOLSEM X5 will be a good choice. Also, the compact size of HOLSEM X5 can save you a lot of spaces and help to organize the charging area to be neat. The compact size also makes it a good choice for a travel charger to bring everywhere.